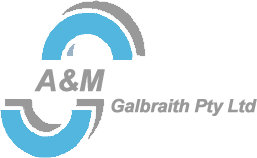 GF Galbraith is committed to providing its customers and clients with the highest possible standards of product and service. The types of information we collect In general, when you visit our websites you do not have to tell us who you are, or reveal any personally identifiable information to us. Unless you specifically agree to tell us, we will never know who you are, and you are able to interact with our websites in a completely anonymous way. Personally identifiable information is defined as any specific data that could disclose you as an individual, such as your name, address, telephone number, billing and shipping information or e-mail address. You consent to such a disclosure We are compelled or authorised to do so by law The quality and security of the information we hold Any information you provide to us is stored and held under generally accepted standards of technology and operational security in order to protect your personally identifiable information from loss, misuse, alteration, or destruction. Only authorised personnel are provided access to personally identifiable information and these personnel are required to treat this information as confidential. Despite these precautions, we cannot guarantee absolutely that any and all unauthorised access to your personally identifiable information will be prevented. Your access to the information we hold If you would like to access, correct, update or de-activate any information you have submitted, please send a request to mg@gfgalbraith.com.au. We will modify or de-activate any information that could be used to identify you as soon as practicable after your request, unless we are required or authorised by law not to do so. Once de-activated your data will not be accessible. Links to other websites Our websites provide links to other third party websites outside our network. We have no control of these sites and do not accept any responsibility for their activities, and we advise you to examine the terms and conditions of using their websites before disclosing any information to them. How to contact us for more information If you have any questions or comments regarding this policy, please email us at: mg@gfgalbraith.com.au. Copyrights and Restrictions of Use All the content included on this web site, including all the text, graphics, photographs, data, images, available on this web site (Content), is the property of GF Galbraith or its content suppliers and protected by Australian and international copyright laws. The compilation, collection, selection, arrangement, assembly, and coordination of all Content available on this web site is the exclusive property of GF Galbraith and protected by Australian and international copyright laws. All the Content available on this web site may only be used by you for your personal use and data gathering resource. You may make copies of selected portions of the Content, provided that such copies are made only for your personal use and only if you maintain any proprietary notices contained in such Content. Any other use, including but not limited to, the reproduction, modification, distribution, transmission, republication, display or performance of the Content for any other purposes is strictly prohibited. Limitation on Liability As partial consideration for your use of and access to this web site, you agree that: (i) in no event will GF Galbraith or any other party involved in creating, producing, or delivering this web site or any site linked to this web site, be liable to you in any manner whatsoever for any decision made or action or non-action taken by you in reliance upon the information provided through this web site; and (ii) the aggregate liability of GF Galbraith, or any of its distributors or dealers, arising from or relating to this agreement (regardless of the form of action or claim, e.g. contract, warranty, tort, strict liability, negligence, malpractice, fraud, and/or otherwise) is limited to the purchase price of any products your purchased from GF Galbraith in the relevant transaction; and (iii) GF Galbraith shall not in any case be liable for any direct, indirect, special, incidental, consequential, or punitive damages, even if Sales Solutions Plus has been advised of the possibility of such damages.